The One Mix Yoga from One Netbook brings to us a pocket laptop that is the perfect union between power, portability, and productivity. It’s so small and compact that it can fit on the top of your palm – like a palmtop! And at the same time, it is powerful enough to run full-fledged Windows 10. It comes with a dedicated QWERTY keyboard. This means penning those emails or editing Word documents won’t be as cumbersome as is the case on mobile phones. You can even use it during nights or in dark places, thanks to the backlit keys. You will also get a built-in infrared induction mouse. But that is something you will rarely use, considering there is a dedicated touch-screen display. And speaking of touch-screens – did you notice the “yoga” in the name? Yes, the device does work like a 2-in-1 convertible. 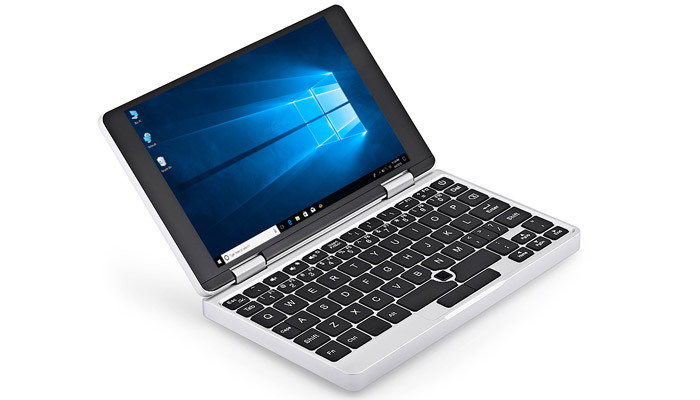 You can use it as a laptop or fold the keyboard to the back and use it as a tablet. That’s a “check” for flexibility as well. Check out the ‘One Mix Yoga’ Now! The One Mix Yoga packs in a 7-inch 1920 x 1200 full HD display. It is an IPS panel with good viewing angles. The display quality is nice and crisp, and the display size is just right to help boost your productivity. Now, it is worth pointing out that the screen quality doesn’t hold up that well in direct sunlight. The contrast level and viewing angles tend to degrade. So basically the device is intended for indoor use. The touchscreen works just fine with multi-touch support. It is smooth and responsive. You will not have any complaints. Next up, the build of the device. Imagine holding a tablet that is thick as a laptop with some pronounced bezels. Say hello to the One Mix Yoga! If you want the exact figures – the dimensions are 182 x 110 x 72mm. While it’ll be a squeeze, you can tuck it away inside the pocket of your suit or jacket without any problem. But if you wish to carry it in your pants, then do wear a belt. The 515-gram package might weigh you down. All jokes aside, the weight isn’t too much considering other devices that share similar dimensions. Plus, the device’s outer shell is made with CNC Aluminum alloy which adds to the weight but also gives it a premium feel plus added protection. Now coming on to the performance of the One Mix Yoga. As stated earlier, it is fully capable of running Windows 10. You can use it to browse the internet, work on some spreadsheets, write e-mails, and all sorts of similar activities. It can handle all lightweight tasks without any hiccups. However, don’t be so enthusiastic about running heavy software or playing any modern games. The internals are powered by the Intel Atom x5-Z8350 which is a part of the Cherry Trail platform. 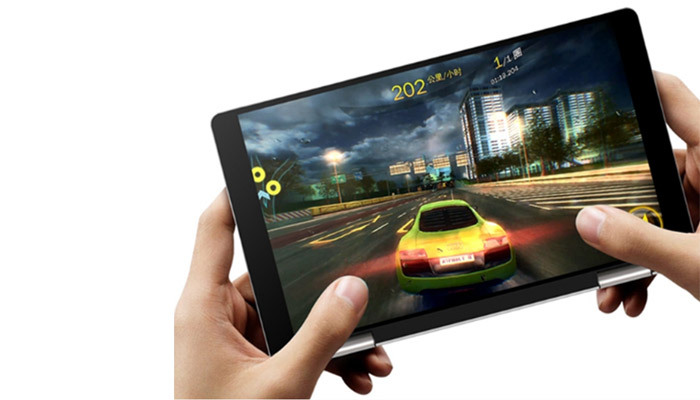 It is a two-year-old quad-core SoC designed on a 14-nanometer architecture. It has a clock speed of 1.92GHz and a dedicated GPU based on Intel Gen8 architecture. The performance won’t be anything phenomenal. But it will be on par with modern entry-level laptops. If you are looking for something solely for office use, then this shouldn’t disappoint. The device comes with 8 Gigs of DDR3 RAM along with 128 GB Flash eMMC ROM. You might argue that the storage isn’t large but it does have great Read and Write speeds. And if you don’t intend on loading up your system with movies and heavy image files, then the space should be sufficient. In fact, it is plenty for installing some programs and storing your office files. The memory is also decent. Yes, you are not getting the latest DDR5 RAMs, but on day to day performance, you won’t notice too much stutter or hiccups. Also, 8 GB is sufficient for comfortable multitasking on Windows 10. And thanks to the in-built Intel HD graphics coupled with the 8 GB DDR3 RAM, you will also be able to play some games – albeit old and less resource-hungry titles. You will also get plenty of connectivity and I/O options. 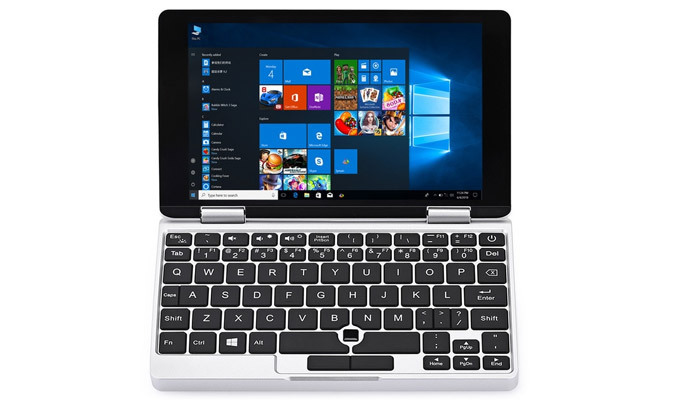 It is here that you will see that the device is not simply a tablet with a hinged keyboard, but truly a miniature laptop. 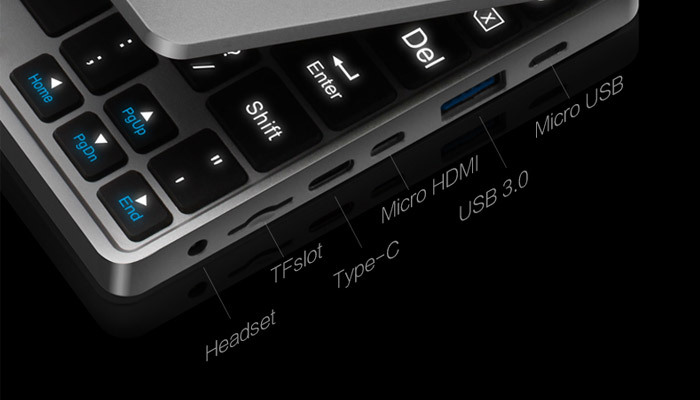 The device offers a multitude of ports, including a 3.5mm headphone jack, micro USB support, USB 3.0, Micro HDMI, a Type-C port, and a TFslot. But do note that there is only one of each. And for wireless connectivity, you have the basics – Wifi and Bluetooth. It comes with a Dual Band 2.4Ghz/5.0GHz WiFi (802.11 a/b/g/n/ac). This ensures excellent internet speeds. You also get the latest BlueTooth 4.0 technology – no compromise here. The device does come with a 2048 level sensitive stylus pen, but it is an extra purchase. It can be an excellent productivity enhancement, especially since Windows 10 comes with OneNote and Windows INK. The Pen features two dedicated buttons and can help you with painting, basic doodling, recording, note-taking, marking important bits, and much more. 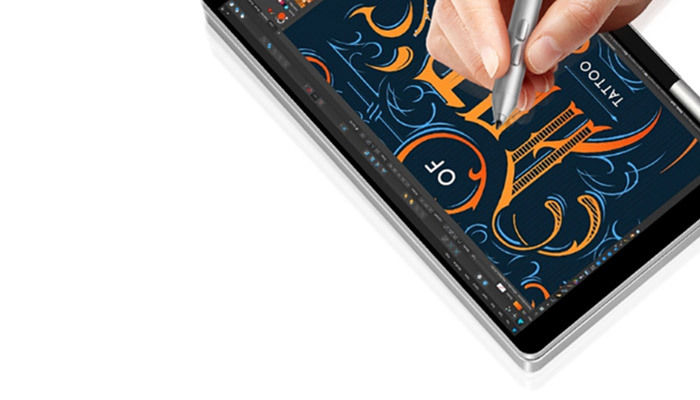 You can essentially use it like you would use the Surface Pen for the Windows Surface Book. And lastly, let’s talk about battery life. The device features a generous 6500mAh non-removable Li-Po battery. When you combine that with the power-efficient Intel Atom x5-Z8350 SoC, you can expect solid battery backup. On paper, the company is saying that the battery will hold up to 12 hours. But real-world values will vary depending on how much you use the device. For rough estimates, under moderate usage, you can expect about 4 to 5 hours of screen on-time. And if the battery does die out, you will have a 5V 2.4A charger to quickly get it up to 100%. Overall, the One Mix Yoga is an extremely competent device which is a welcome entry inside this niche mini-laptop marketplace. It doesn’t deliver any benchmark shattering performance, but it was never intended to do so either. The device caters to a limited demographic mostly filled with office goers and people in corporate fields. It can help users to send e-mails, edit some documents, and do some overall lightweight office work. 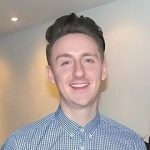 Now, although these tasks can be potentially handled with a mobile phone, the small screen, and virtual keyboard do hamper productivity. The mini-laptop understands this problem and provides an apt solution. 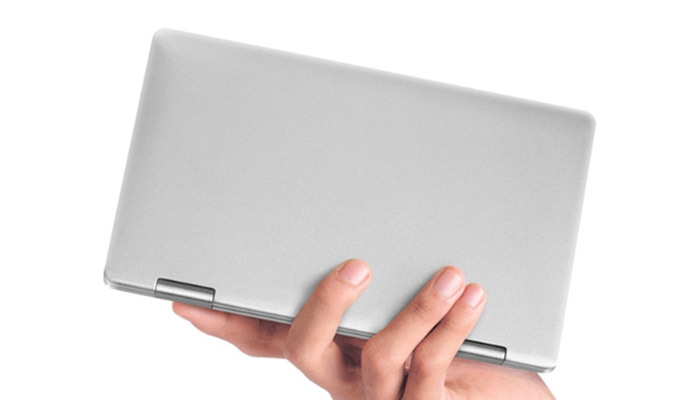 Has the One Netbook One Mix Yoga Laptop tickled your tech buds?